The NHS Breast Screening Programme screens around 1.2 million women in England each year. We routinely screen women between the ages of 50 and 70 and aim to reduce the number of deaths from breast cancer by finding disease at an early stage. We’re often asked how we deal with this massive logistical challenge. Every woman has 2 x-rays taken of each breast each time she attends for screening. Annually, this means image readers need to read nearly 5 million x-rays to assess if women should be referred for further tests or returned to routine screening in another 3 years’ time. To maximise the detection of cancer, all images are read by at least 2 highly trained and specialised image readers. This means we review at least 10 million images routinely each year within the national screening programme. Each woman who attends screening should feel reassured that robust processes make sure we send the right result to the right woman at the right time. All local services have developed a ‘right results’ protocol which is regularly audited. This makes sure the opinions of film readers are recorded accurately on the computer system. And the image readers need to check carefully that the opinion for a specific image is attributed correctly. Several cross-checks – name, date of birth and patient number as a minimum – help ensure each woman’s details on the computer system match the details on the x-rays. 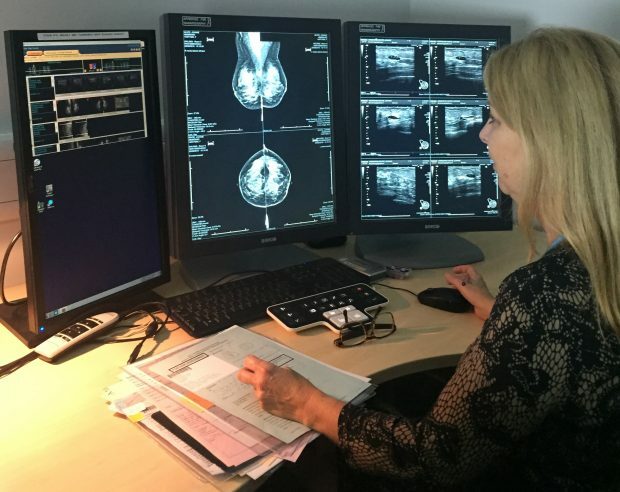 The Screening Quality Assurance Service (SQAS) audits the NHS Breast Screening Programme so all local screening services operate to the highest quality standards. The safety of the service is of the highest importance for all women we screen. We will be sending a national message soon to local breast screening services to emphasise how important it is to carry out these failsafe checks. For more information on the quality assurance of breast screening services in England, see the professional guidance documents on GOV.UK.